Penuche with walnuts. 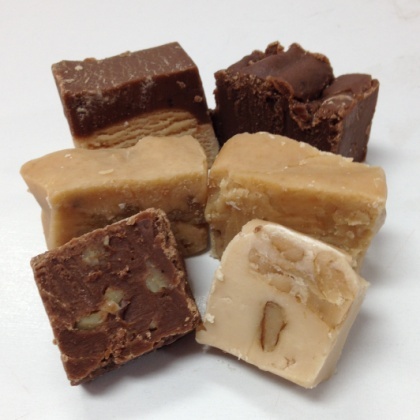 Creamy, delicious homemade fudge. Prepared the old-fashioned way with real ingredients. Taste the difference. No mixes here. .5 lb box. Brown sugar flavor. Pronounced pen-oo-chee. I am not always able to find peniuche fudge and was happy to order it. It was just as I remembered it - delicious. Glad I tried it. It also arrived quickly.